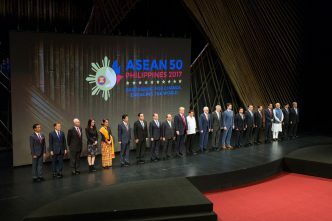 Last month, at the ASEAN summit in India, Indonesian President Joko ‘Jokowi’ Widodo laid out Indonesia’s vision for a ‘stable, peaceful and prosperous’ Indo-Pacific. He said that Indonesia wants an ‘Indo-Pacific regional architecture’ based on the principles of openness, transparency and inclusion, and built through a ‘habit of dialogue’ and ‘respect for international law’ using a ‘building block’ approach. With ASEAN and India as ‘the backbone’ of maritime cooperation, ASEAN-led mechanisms such as the East Asia Summit (EAS) and the Treaty of Amity and Cooperation (TAC) could be coupled with the Indian Ocean Rim Association (IORA) to ‘bridge and integrate’ the Indian and Pacific oceans. Jokowi’s speech closely echoed Foreign Minister Retno Marsudi’s annual foreign policy speech in early January. She provided a little more detail on Indonesia’s Indo-Pacific vision. Noting the importance of the IORA, ASEAN–India and EAS frameworks, Marsudi conceptualised the Indo-Pacific regional architecture as something resembling ASEAN’s ‘ecosystem of peace, stability, and prosperity’ in Southeast Asia. She said that Indonesia seeks to work with other regional countries to develop an ‘Indo-Pacific cooperation umbrella’ aimed at supporting confidence-building measures and enhancing a habit of dialogue. the creation of linkages between these two components through ASEAN-led mechanisms. While these ideas are yet to be turned into practical policies, it’s significant that Indonesia has now publicly proposed its own Indo-Pacific vision, especially since the foreign ministry’s 2015–2019 strategic planning document mentions the Indo-Pacific only once. Perhaps Jakarta now feels compelled to respond to the US adoption of the Indo-Pacific concept and the prominence given to it during President Donald Trump’s Asia trip in November last year. 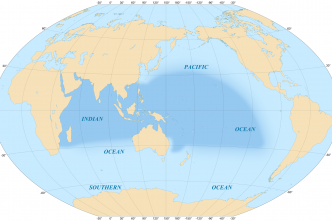 To some extent, Marsudi’s Indo-Pacific doesn’t depart fundamentally from the ‘Indo-Pacific treaty’ proposed by her predecessor, Marty Natalegawa, in 2013. While Natalegawa’s idea was based on what he called a ‘dynamic equilibrium’, it also involved extending ASEAN-led mechanisms and instruments to include the Indo-Pacific. 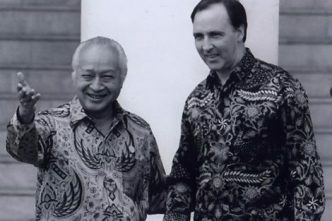 His treaty idea, after all, was modelled on ASEAN’s TAC. 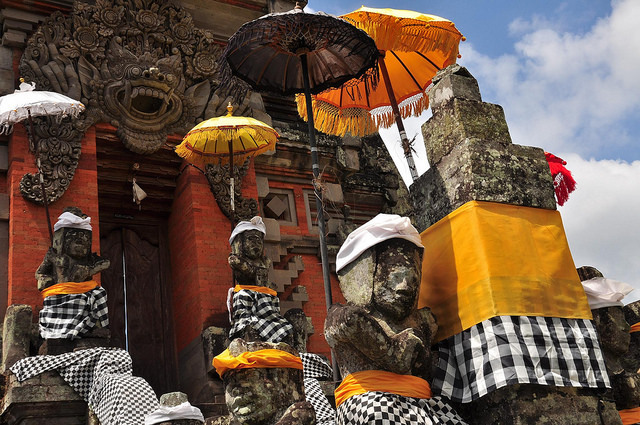 Taken together, these ideas suggest the arrival of a distinctly Indonesian conception of the Indo-Pacific—‘an Indo-Pacific with Indonesian characteristics’, if you will—based on three tenets. First, Indonesia doesn’t challenge other ideas of the Indo-Pacific, such as the ‘free and open Indo-Pacific’ preferred by Japan and the US. Nor does it oppose existing bilateral or ‘minilateral’ Indo-Pacific arrangements, such as the quadrilateral security dialogue involving the US, Japan, India and Australia. But the inclusionary principle also means that Indonesia doesn’t want a mechanism that targets or excludes certain countries (such as China). In fact, the ‘umbrella’ and ‘building blocks’ metaphors suggest that Jakarta believes that other Indo-Pacific constructs and mechanisms could co-exist with its own preference for multilateral institution building, particularly through ASEAN-led mechanisms and IORA. Second, Indonesia seeks to promote the ‘ASEAN way’ (including the ‘habit of dialogue’) in the Indo-Pacific through ASEAN-led mechanisms. For Jakarta, any Indo-Pacific regional architecture can’t and shouldn’t undermine ASEAN’s centrality in regional affairs. Indonesia’s preference is a function of its independent foreign policy and the paramount importance it places on ASEAN. Above all, Jakarta values its strategic autonomy and ‘pragmatic equidistance’ from the major powers. Its push for ASEAN-led mechanisms reflects its concern that great-power politics in the Indo-Pacific could undermine ASEAN’s centrality. Third, Indonesia continues to rely on existing multilateral forums rather than on bilateral or minilateral ones for the greater Indo-Pacific. We can see this in its promotion of IORA (alongside ASEAN-led mechanisms) as the Indian Ocean grows in importance. 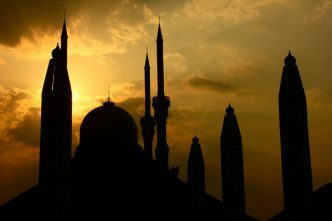 Indonesia’s multilateral zeal stems partly from its historical success with ASEAN and UN institutions and partly from its faith in the ability of multilateralism’s ‘multiplier effect’ to compensate for its lack of strategic resources. The foreign ministry’s budget hasn’t increased much over the past two decades (it averaged US$305 million between 1999 and 2014), and most of the defence budget (roughly US$6–8 billion in recent years) goes to personnel. Indonesia’s economic resources are geared to generating domestic growth. Therefore, its regional and global profiles are best served and amplified through the multilateral forums that it has invested in over the years. These three traits—co-existence with other Indo-Pacific concepts, ASEAN centrality and multilateral institution building—will continue to shape Indonesia’s approach to the Indo-Pacific. It remains to be seen whether new practical measures will emerge or whether Indonesia’s Indo-Pacific construct will be effective or embraced by the rest of the region. Evan A. Laksmana is a senior researcher at the Centre for Strategic and International Studies in Jakarta, Indonesia, and a visiting fellow with the National Bureau of Asian Research in Seattle, Washington. Image courtesy of Flickr user Bruno Vanbesien. Indonesia: strategic threat or strategic partner?